The typical American household loses power once or twice a year for an average of about 3 hours, according to the U.S. Energy Information Administration. But power outages caused by extreme weather, such as what Hurricane Florence might bring to the East Coast late this week, can last for days or even weeks. When they do, homeowners can face a long list of inconveniences and expenses, ranging from spoiled food and frozen pipes to flooded basements and moldy walls. A generator is a first line of defense against these problems. 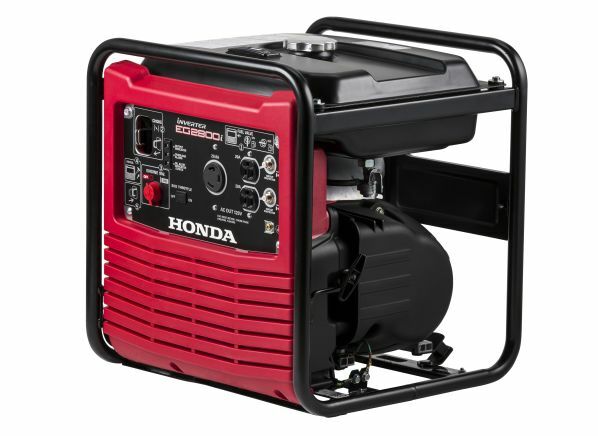 But with models ranging from small recreational units that cost a few hundred dollars and can power a single appliance to standby models that can cost $5,000 and power an entire house, choosing a generator can be daunting. But how do you figure out which one that is? Keep reading. Here, we offer guidance on how to choose the generator that’s right for your situation, details on each category of generator we test, and a CR recommendation and product review in each category. We also built the interactive tool below that illustrates what you can run with various generators, so you can see how a given power output compares with another. Click any type of generator below to see what it will run in your home. The first step in choosing the right size generator for your home is to find the power-outage scenario that best matches your own from the three we've sketched out below. Even worse, these outages are sometimes prolonged. This also applies if you live in an area prone to severe weather events, such as blizzards, ice storms, and hurricanes. These three types all have enough juice to power your entire household, and they can connect directly to your home’s circuit breaker panel, allowing you to control and run appliances that are hardwired, such as central heat and air conditioning, well pumps, sump pumps, electric ranges, and water heaters. If you have any of these and it's essential for them to work in a power outage, be sure to have a transfer switch installed at your breaker box. A good, licensed electrician should be able to handle the job. Sometimes they're sustained, but not typically, and you don’t want to spend thousands on a home standby generator. Unless you experience numerous power outages a year, you may not be willing to spring for the $10,000 or more it can cost to buy a stationary unit and have it installed. You can save thousands of dollars if you don’t mind having to pull your large inverter or portable generator out of a garage or shed and hook it up during the outage. You'll still want to have a transfer switch installed. Even so, you want a generator for some peace of mind. Midsized inverter generators have ample power to run a fridge and a window A/C or space heater, as you can see in our interactive tool. Recreational models are compact enough to toss into the back of a pickup to power a TV and cooktop at a tailgate. Go Wildcats! Dozens of people die in the U.S. each year from carbon monoxide poisoning from a generator. 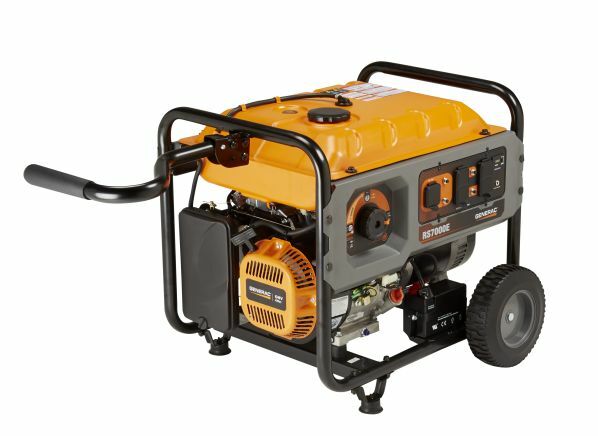 Check CR's generator safety tips. Another way to answer the question of which size generator you need is simply to add up the wattage of everything you want to power during an outage. Before you bust out the calculator, keep in mind that some appliances—air conditioners, refrigerators, and sump pumps, for instance—draw more wattage momentarily when they're cycling on. These surge watts can throw off your calculations if you don't account for them. You'll also need to pin down how much wattage your hardwired appliances require, and that's a question for your electrician. 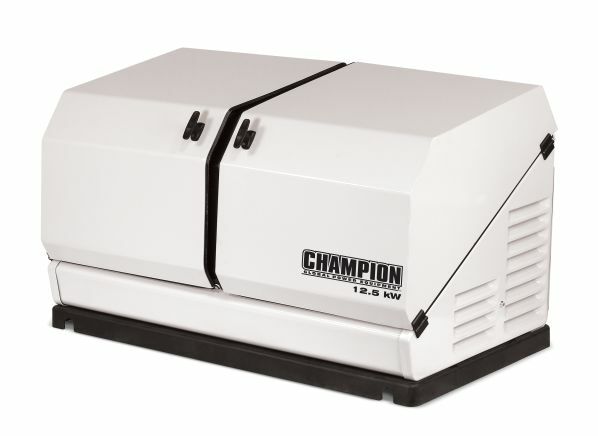 Below we drill down into each type of generator, and give you a product recommendation and review for each. Pros: The lightest type of generator. (Most models weigh around 60 pounds.) Extremely quiet. No installation costs. Easy to store and transport. You can pair most units to increase output. Many come with user-friendly features such as fuel-level indicators and smartphone apps. Cons: Enough to power a fridge, some lights, and a phone charger but not much else. Can’t be connected to a circuit breaker panel or used to power any device without a standard plug. 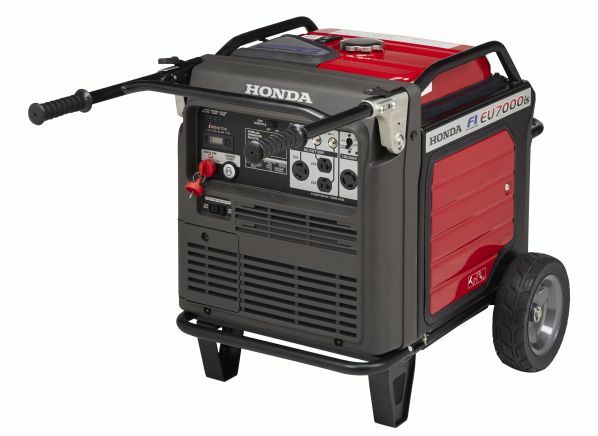 The most expensive models cost as much as a portable generator, which can do far more. Pros: Lightweight; most models weigh less than 150 pounds. Quiet. Efficient—capable of keeping the fridge running and the lights on for 8 to 18 hours using only 2 to 3 gallons of gas. Cons: They can generally power only 110-volt items with a standard two- or three-prong plug, ruling out well pumps and heating and cooling equipment. You can now find special 110-volt transfer-switch kits, but the installation cost makes them an impractical choice because you could opt for a portable generator with a 220- volt transfer switch for the same amount. Pros: The best value in terms of cost vs. capacity. Certain models produce enough energy to meet all the power demands in your home. Can be connected to your breaker panel with a transfer switch to run hardwired equipment, such as a well pump. Cons: Costs as much to connect to your home’s circuit breaker panel as the generator itself. They’re noisier than large inverter and home standby generators. They usually run only on gasoline and use a lot of it compared with inverters. Bulky; most weigh close to 300 pounds. Should not be used in rain or snow without protection, such as an open-sided tent. Pros: Most produce enough energy to run a refrigerator, lights, and other essentials such as a furnace or small central air-conditioning unit. Can be connected to your breaker panel to run hardwired equipment, such as a well pump. Quiet. Produces steady power ideal for sensitive electronics, such as stereo equipment. Fuel efficient. Cons: Expensive. Only models costing $3,000 to $4,000 perform well enough in our tests to warrant serious consideration. They can’t run on natural gas or propane, so you still need to keep stabilized gasoline on hand. Pros: Permanently installed (usually next to the house), they kick on automatically during an outage to provide uninterrupted current. They can power everything in a typical home simultaneously, up to their maximum output. They can be set up to run indefinitely on natural gas or can be fueled by propane. No need to connect cables, flip a switch, or start the engine. 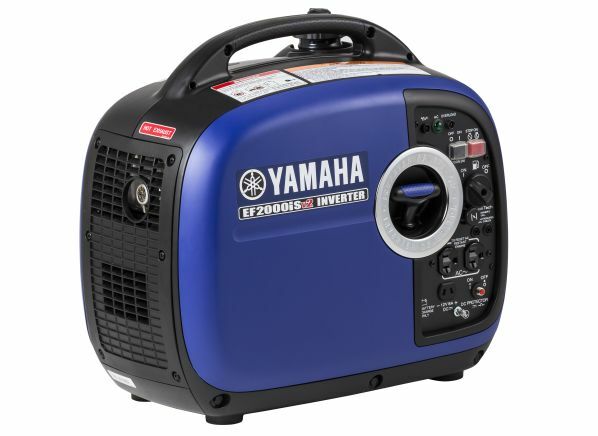 Cons: With few exceptions, they’re more expensive than other types of generators. Installation costs can run into the thousands—and they're not included in the price range we list above. They can't be installed in low-lying areas prone to flooding and can’t be moved in the event of a flood.